Welcome to our nation's capital! 2017 has brought nothing but changes! We have a billionaire in the White House and weather to keep everyone guessing! But, the beltway area remains exciting and fun! Find out how much fun here! Though the majority of us here at MSTv, don't understand the popularity of Magic: the Gathering, our DC boss Tom Mulvey does. Apparently, something must be up with it because its been around for 25 years! So, let him explain the in's and outs! But, besides bringing visual realism to comics, he's a stern bastion on helping maintain comic creators' and general human civil rights. He's the great Neal Adams! And our Tom Mulvey got a chance to speak with him recently - just not all about comics..
Let's just say, he's not a President Trump fan. 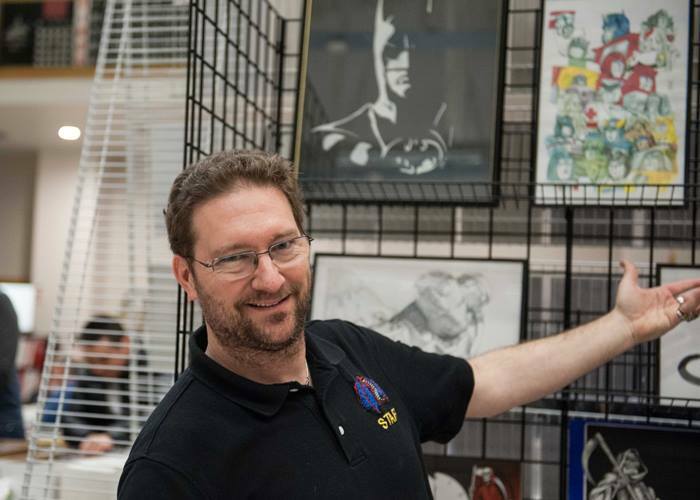 He's a former comic book store owner, comic editor, role-player guru, husband, dad and lifelong friend and brother to our leader, Kent B.! Now, he brings what's geek cool in the DC areas to everyone! Whew!! !